As a member of the Comfort Plus Selected Dealer program, we've been chosen to exclusively represent these unique windows in our area. Why us? Because our reputation offers a proven track record as a company committed to integrity in business ethics, customer service and quality products. Our team has received hours of education in proper installation and window assembly. We are fully licensed, insured and factory certified to ensure professional installation for years of satisfaction. 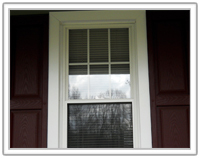 Our windows are energy star rated, have a lifetime warranty and are constructed with only 100% pure, virgin PVC compound. 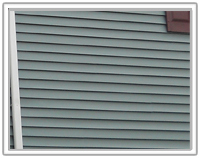 Comunale Construction offers the finest premium solid vinyl siding. The Quest3 Series, made by Alcoa/Mastic Corporation, provides the premium solution for homes that value the superior performance, beauty and design that advanced technology delivers. This siding is produced with rigid standards of toughness and reliability. Constant analysis makes certain that quality is maintained, and strict adherence to specifications means that the standards of the American Society for Testing and Materials are met and exceeded. Plus, the Quest3 siding provides the V.I.P. Lifetime Limited Warranty for a worry-free performance. Your roof consists of much more than just shingles. Underneath are several additional products all working to help protect your home from the elements. When you choose Comunale Construction's portfolio of roofing products and high-wind application methods in these critical areas, you can add to the protection you receive with the standard Heritage Application. TAMKO and IKO products work together to enhance roof protection. 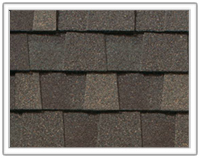 We use them at each stage of the roofing process to add this performance to your home. Comunale Construction Company offers a heavy duty .32 gauge seamless aluminum gutter. We are one of few contractors that has our own fabricating gutter machine for onsight production. 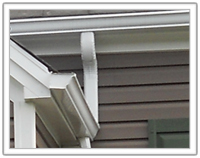 This enables us to give you the perfect gutter length with a professional look while eliminating any water leakage. We also use heavy duty snow hangers to keep your gutters safe and secure. If you would like more information about our gutters, please feel free to contact us today.